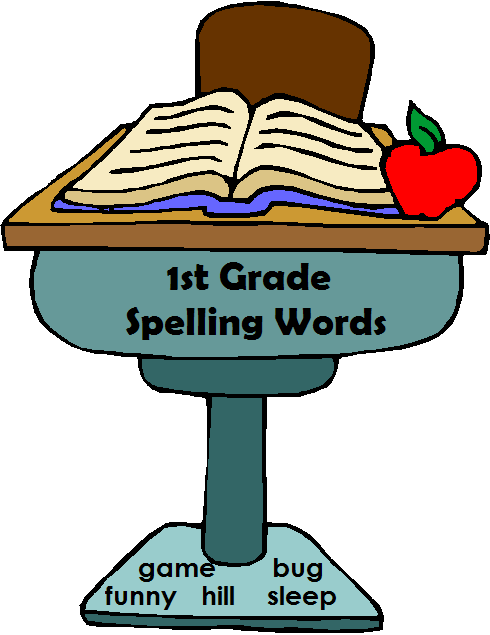 If you're a teacher or parent looking for 1st grade spelling words and activities, you've come to the right place! We've compiled several lists, based on Dolch words, Fry's textbooks, and other resources. With all these words at your fingertips, it will be easy to know what words to practice. But how should you practice these words? Our activity pages will supply you with many fresh ideas. 1st grade sight words - These 40 Dolch words are the most important words for first graders to read instantly and spell easily. We also have the complete Dolch Word list for preprimer through 3rd grade levels. Find two sets of flash cards for first grade sight words here. Grade 1 Spelling words: Long vowels - 60 simple words with long vowel sounds, arranged in word families. 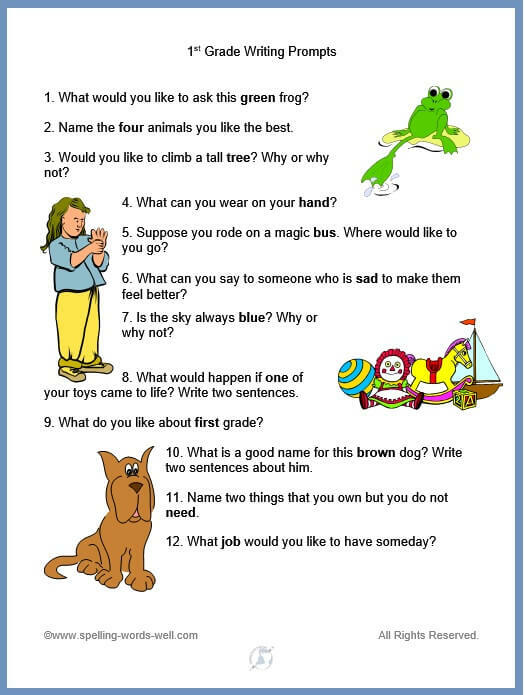 1st grade writing prompts - Set 1 - What would you like to ask a frog? What if one of your toys came to life? What would you say to someone who is sad to make them feel better? A total of 12 age-appropriate 1st grade writing prompts. 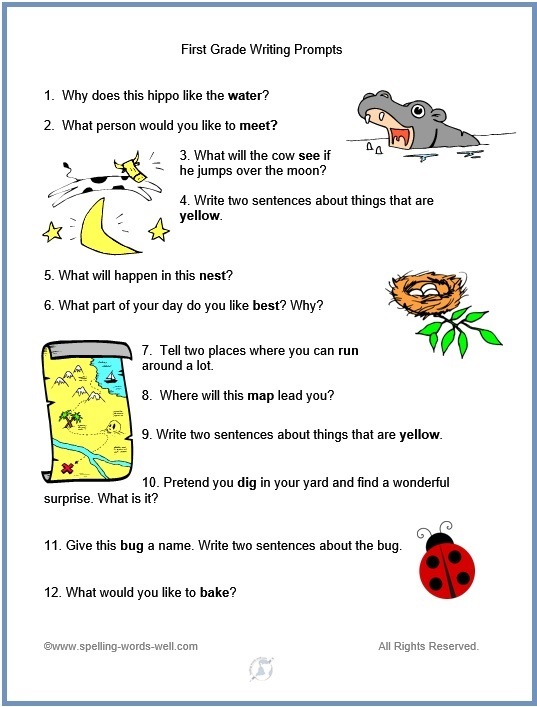 First Grade Writing Prompts Set #2 - What would the cow see if he jumped over the moon? Where will the treasure map lead you? What part of the day do you like best? Find nine more similar writing prompts. What’s Yours? What’s Mine? 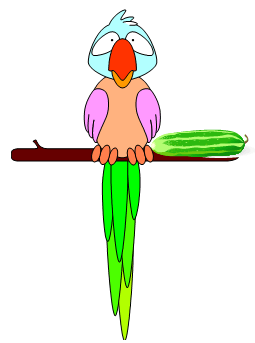 – Convey the meaning and the spelling of possessive nouns in this simple lesson. Fits CCSS.ELA-Literacy.L.1.1b. A Fun Day: 1st grade reading and spelling activity - Give your students reading, writing and spelling practice with this individualized story. 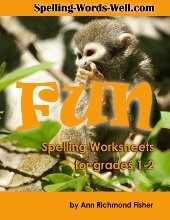 Worksheets for 1st Grade: 2 fun spelling practice pages! 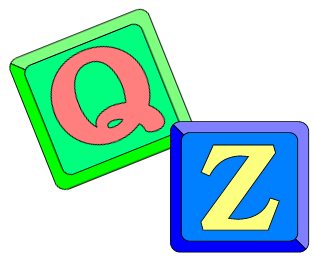 Students will practice initial consonants and visual discrimination. 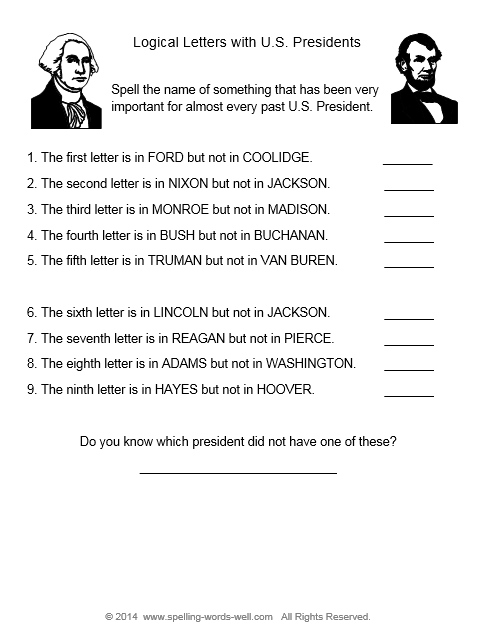 First grade worksheets - Practice all those words with our fun spelling worksheets! Try ours and get ideas for making more reproducibles of your own. First grade phonics worksheets - Five fun pages for short vowel words. Students match pictures to words, finish spelling words, and more. 1st grade spelling - Small group activities - Simple ideas to practice those weekly spelling words: Roll 'N Write, Memory Check, and Pass It Around. Keep practice time interesting! Phonics Activities - See this wide assortment of fun phonics practice. You'll find games, worksheets, flashcards, and other worthwhile classroom activities. New Job: Another reading and spelling worksheet for your students to individualize. What a fun way to gain language skills! Sight Word Printables - Two super-fun worksheets provide practice with color and number words. First grade learning activities - Learning to spell was never so much fun! No paper and pencil required for these simple ways to sound out words and practice spelling around the house or at school. 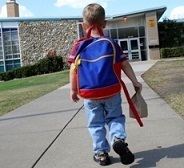 Free Preschool Games & Activities- Many of these fun activities are adaptable for first graders. Try some! 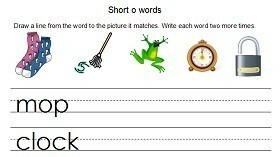 Phonics Worksheets - View our entire collection. You're sure to find something for the skills you need now! Spelling Word Games - Check out more games for early learners! We have lots of spelling games for all ages.